Who would argue with a U.S. millionaire tax hike? Would anyone really argue with hiking tax rates on Americans making over $1 million a year? OK, the millionaires might. But selling out the country’s 250,000 super-rich by taxing them at Clinton-era rates might be the needed political compromise to avert the fiscal cliff – if only one of many financial sacrifices required to right Uncle Sam’s finances. Negotiations will soon begin between the two parties to prevent scheduled tax increases and spending cuts expected to send the economy spiraling. The Congressional Budget Office predicts that if Washington does nothing, unemployment could return to 9.1 percent. The Republican Party isn’t keen to raise taxes on anyone – House Speaker John Boehner said so. And President Barack Obama thinks that the top two tax brackets could rise to the rates that prevailed in the 1990s for families earning more than $250,000. But compromise is about meeting in the middle. So why not sacrifice just those with indisputably large incomes who can clearly afford it? 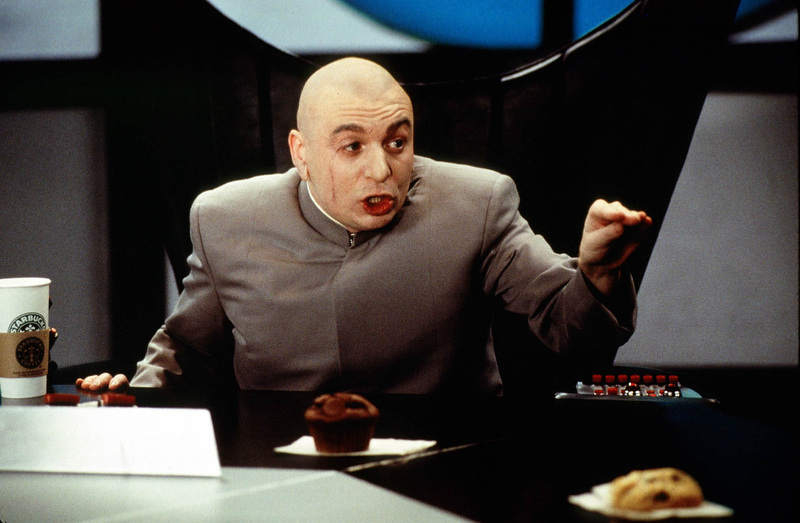 For simplicity’s sake, consider what would happen to those earning, in the words of Austin Powers super-villain Dr. Evil, “one m-ill-ion dollars.” Using that as a threshold for returning to the top rate of 39.6 percent that prevailed during Bill Clinton’s reign would cut a big chunk of prosperous (if not necessarily filthy rich) Americans out of the equation. Raising rates on Americans earning more than $200,000, the Democrats’ single-person threshold, would affect 2.4 million taxpayers, according to 2010 data from the Internal Revenue Service. Boosting the floor to $1 million saves 2.1 million families from higher taxes, leaving just around 250,000 facing increases of just under 5 percentage points. Yet this tweak has a much smaller impact on revenue. Taxing just millionaires would bring in about $250 billion over 10 years, according to Breakingviews calculations using IRS statistics. That’s only one-third less money collected than if the entire group of 2.4 million people got hit with a tax hike. Republicans are ideologically opposed to raising taxes on anyone. But if the wealthy state of California is any indication, the people are OK with letting the very rich pay more: 54 percent of voters approved a ballot measure that hiked state taxes on households making over $1 million. For the Republicans, failure to clinch a deal that avoids an economic shock for the benefit of “millionaires” comprising 0.2 percent of the population would make associations with Dr. Evil too easy. The millionaire’s tax is a political winner. U.S. Speaker of the House John Boehner said on Nov. 7 that Republicans would be willing to consider new revenue measures, if those came as a part of broader tax reform and were paired with entitlement reform. He also reiterated the GOP view that tax rates should not rise.